It’s not just the food that makes an impression on guests, it is also how the table is set that can make or break you perfect holiday meal. 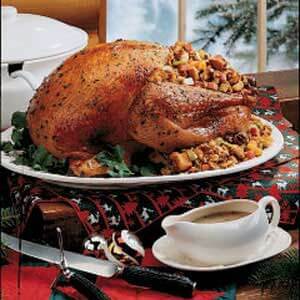 See just a few suggestions to make sure your holiday gathering is a hit all the way around. Make sure flower arrangements are not too large causing people to have to strain to see each other across the table. Avoid serving family-style as it can be awkward and the table too small to accommodate all the dishes. Opt instead to have a buffet. Avoid candles that are too large or overly fragrant. Make sure the tablecloth fits the table. A 10 – 15 inch drop is ideal. And of course, don’t forget a pad underneath to keep spills from ruining your table. Avoid squeezing in random chairs making it too tight or causing some people to sit lower or higher to the table than others. Use place cards. Place cards help avoid the awkward “where should I sit?” feeling as well as making sure guests are seated within their “comfort zone” of other guests. Have a practice run. Sit at the table and check that flowers & candles are not interfering with views across the table. Make sure all seats have room to eat comfortably. Last, but not least – relax and enjoy the day with your family and friends.